- 95-97 Punkte WINE ENTHUSIAST, Roger Voss: "Barrel Sample. Dark and intense, this wine has immense fruit and equally immense tannins. It is powered by its firm structure and concentration. There are hints of firm extraction, although it does not detract from the bold fruits. It should age well for many years." 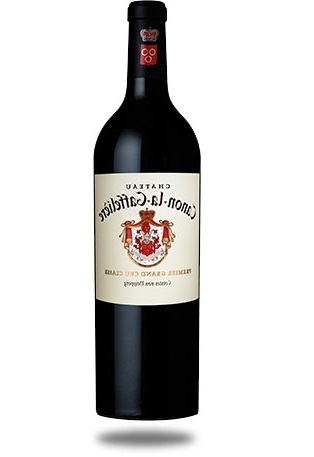 - 95-98 Punkte WINESPECTATOR, James Molesworth: "This pulls a lot of red and black currant, fig and boysenberry pâte de fruit notes together, wraps them with a brambly thread and then drives them through an anise- and apple wood-edged finish. It's all tightly wound, but it's all there for the long haul. Really, really solid." - 94 Punkte VINOUS, Neal Martin: "The 2016 Canon La Gaffelière has an outstanding, very detailed and complex bouquet of cedar-tinged black fruit and touches of truffle, almost Graves-like in style. The palate is medium-bodied with sweet ripe tannin and rounded in the mouth. The new oak is quite conspicuous at the moment, though it should be fully assimilated with bottle age. This wine is driven by the Cabernet Franc, at one of the highest percentages in recent years, lending a great deal of freshness. Give this five or six years in bottle. A fabulous Canon-la-Gaffelière." - 96 Punkte VINOUS, Antonio Galloni: "The 2016 Canon La Gaffelière is just as striking from bottle as it was from barrel. Bright, intensely aromatic and precise, the 2016 has it all. Sweet red cherry, pomegranate, blood orange and rose petal all race through this silky, super-expressive Saint-Émilion. In 2016, Canon La Gaffelière is especially polished, refined and nuanced, which means also less overly powerful than in the past. It was compelling both times I tasted it from bottle." - 95 Punkte FALSTAFF, Peter Moser: "Tiefdunkles Rubingranat, fester Kern, violette Reflexe, zarte Randaufhellung, mit feiner Kräuterwürze unterlegte schwarze Beerenfrucht, ein Hauch von Lakritze, dezent nach Edelholz und Grafit, dunkler Nougat. Kernig, dunkle Kirschen, straffe, gut integrierte Tannine, gute Frische, mineralisch, Herzkirschen, extraktsüßer Nachhall, gutes Reifepotenzial." - 93 Punkte DECANTER, Jane Anson: "Another successful wine in St-Émilion, with the signature of careful extraction. Well-brushed black fruits and a lovely push-and-pull effect between supple tannins, rich fruits and fresh acidity. Certified organic since the 2014 vintage. Drinking Window 2027 ? 2045"
- 97 Punkte INTERNATIONAL WINEREPORT: "The 2016 Château Canon la Gaffelière is another sensational release from Stephan von Neipperg. Composed of 55% Merlot, 35% Cabernet Franc and 10% Cabernet Sauvignon sourced from the clay-limestone/clay-sand soils at the south-foot of the slope. It was aged in new oak barrels (60%) on the lees for 17 months. The wine itself begins to impress with its aromas of dark raspberries and red currants woven together with fresh spring florals, tobacco, toast and hints of topsoil all taking shape beautifully in the glass. On the palate this possesses a gorgeous medium-plus body with an outstanding plush texture, together with wonderful overall structure and balance. It displays excellent precision and definition through the long, complex finish. While this is already showing early appeal, readers should plan on cellaring this for at least 5 years. This is a special wine from this estate." - 19 Punkte RENE GABRIELS BORDEAUX TOTAL, Andre Kunz: "Kunz Fassprobe 17: (55% Merlot, 35% Cabernet Franc, 10% Cabernet Franc, 42 hl/ha) Samtenes, dichtes, frisches, komplexes, süsses Bouquet, Damassinepflaumen, Veilchen, Röstaromen, Tabak, Zedern. Konzentrierter, vielschichtiger, ausgewogener, eleganter Gaumen mit dichter, feiner Frucht, viel gutem Tannin, konzentrierter, vielfältiger Aromatik, cremiger, fein muskulöser Struktur, langer, dichter, fein üppiger Abgang mit vielen Rückaromen." - 95-96 Punkte JAMES SUCKLING: "Lovely silky texture and dark fruit to this wine underlining richness and decadence. Medium to full body and a long finish." - 16,5 Punkte VINUM: "Besitzt Frische, Eleganz und Rasse, verblüffende, angenehm krautige Blumigkeit, spürbare Säure, anhaltende Länge." - 95 Punkte JEB DUNNUCK: "One of the most elegant and seamless wines in the vintage is the 2016 Canon-la-Gaffelière, a blend of 55% Merlot, 35% Cabernet Franc, and 10% Cabernet Sauvignon brought up in 60% new French oak. This medium to full-bodied beauty has brilliant minerality as well as tons of cassis fruits, notions of spice box, cedarwood, licorice, and dried earth, silky tannins, no hard edges, and a great, great finish. It shows the purity and elegance of the vintage to a T. Drink this fabulous Saint-Emilion any time over the coming 20+ years." Im Weinkeller: Weinlese: Manuell in kleinen Behältern. Doppelte Aussortierung vor und nach dem Abbeeren. Kein Einmaischen. Ankunft der Ernteüber ein Förderband. Weinbereitung: Je nach Jahrgang 28 bis 35 Tage lang in Thermoregulierten Holztanks. Extraktion durch pneumatische Pigeage. Malolaktische Gärung und Ausbau: In neuen Fässern (bis 80%) auf feiner Hefe. Schönung und Filtration, falls notwendig, je nach Jahrgang. Dauer des Ausbaus: 15 bis 20 Monate je nach Jahrgang. Potenziell allergene Substanzen: Enthält Sulfite. Kann Spuren von Eiweiß, Gelatine und Milch enthalten. Warnungen: Der Konsum von alkoholhaltigen Getränken während der Schwangerschaft kann selbst in geringen Mengen schwere Konsequenzen für die Gesundheit des Kindes nach sich ziehen.